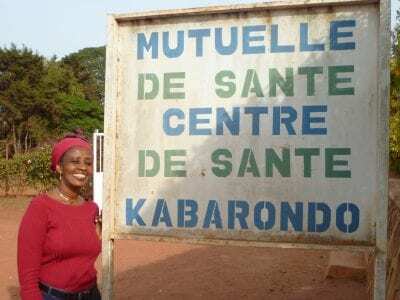 Sylvie Umubyeyi has been a social worker at Kabarondo Health Center in Kayonza District in eastern Rwanda for five years. She studied social sciences in secondary school and began working as a social worker in 1990. At Kabarondo Health Center, Umubyeyi is responsible for the social services activities and the malnutrition program. Umubyeyi got a big boost in her nutrition skills by attending a training session on the Outpatient Management of Malnutrition in Children Under Five Years Old, sponsored by All Mothers and Children Count (AMCC), a program which is co-funded by PWRDFand Global Affairs Canada. Part of the training was learning the national protocol for treating malnutrition and how to calculate z-scores – the criteria used to assess growth for children — which is key to diagnosing malnutrition. The AMCC program is also providing resources for social workers from health centres to conduct home visits to malnourished children enrolled in the program. Before the AMCC program, Umubyeyi was only able to do home visits for those children living close to the health centre. “But now for those families who live very far from the health centre it is possible to take a motorbike to visit those families,” she says. Katie Beck, MPH, RD, is the Nutrition Technical Support Fellow at Partners in Health in Rwanda.